Mayor Rahm Emanuel, State’s Attorney Anita Alvarez, and the Chicago Police Department are under intense scrutiny for covering up the murder of Laquan McDonald, the unarmed Black 17-year-old who was shot 16 times by a police officer in October 2014, just four months before Chicago’s mayoral election. As part of this cover-up, the City of Chicago paid McDonald’s family $5 million if they agreed not to publicly share the video of the murder. But the McDonald settlement was just a drop in the bucket: Chicago has spent $642 million on police-related legal claims since 2004. Take the case of Chicago detective Dante Servin, for example. The family of Rekia Boyd, a 22-year-old Black woman gunned down by Servin, was awarded $4.5 million in a civil settlement. However, despite relentless organizing that led to the rare recommendations from the Independent Police Review Authority (IPRA) and then-police superintendent Garry McCarthy to terminate Servin, the Chicago Police Board still refuses to do so. The city’s practice of paying families of police violence for impunity has high social and fiscal costs and must change. “Hush money” settlements like the one offered to McDonald’s family put victims of police violence and their families in a terrible position. They allow violent police officers to stay hidden and keep their jobs, where they are free to offend again, and let police departments avoid the public scrutiny that would force them to change-. public scrutiny like that surrounding the legacy of Jon Burge, former Area 2 Commander, who tortured black victims across a span of twenty years. It is important to note that this current landscape of police abuse is embedded in the Chicago police culture. Settlement generally come out of city budgets, not police budgets, and in Chicago these payouts compound the city’s financial distress, leaving less money for public services and forcing cuts. It is important to note that the settlement figures that are publicly available only account for the harm the city has admitted to, and does not include the legal fees and court costs, which could drive the totals even higher. 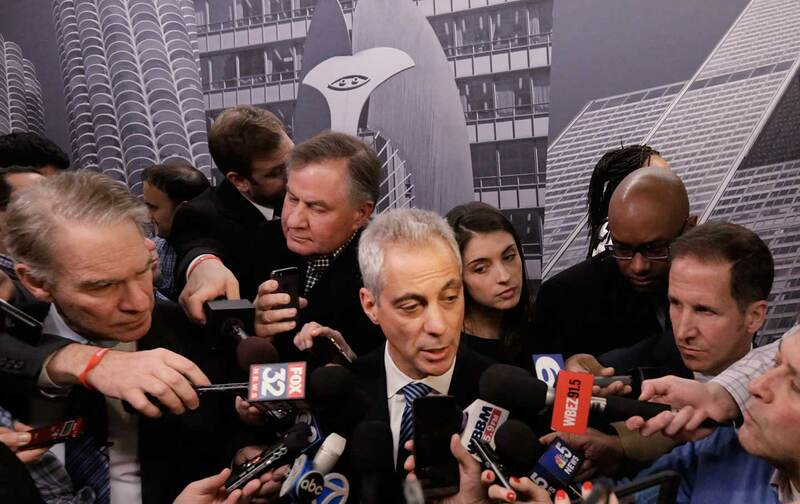 The more than half a billion dollars Chicago has paid in the last 12 years could have funded 5 new state of the art high schools, 33 new libraries or countless mental health facilities and community development programs. Cities like Chicago often cannot afford to pay these settlements and are forced to borrow money using bonds. These police brutality bonds become a vehicle for transferring wealth from communities of color to banks and wealthy investors. In 2014, Chicago issued almost $100 million in bonds to pay for legal costs from the previous year, mostly police misconduct cases. When bonds are used to cover legal costs, taxpayers are on the hook for both the victims’ payout, and the interest to bondholders. Interest payments on a 30-year bond can be as high as the principal on the bond itself. For example, Chicago will have to pay $25 million in interest and fees for just one $28 million police brutality settlement. The beneficiaries of these interest payments are the high-wealth individuals that typically invest in municipal bonds. Cities also have to pay banks fees to issue bonds. Since 2004, Chicago has paid banks including Goldman Sachs and JPMorgan Chase nearly half a billion dollars for bond related fees. Furthermore, by using bonds to pay for these costs, city officials let these payments jump to the front of the line. When there is a revenue shortfall, bondholder payments are always prioritized ahead of funding for social services, because defaulting on a bond can hurt a city’s credit rating and cause the cost of future borrowing to jump. As a result, these police brutality bonds redirect money that should be going toward public services to paying for the impacts of police brutality. The resulting cuts have a disproportionate impact on communities of color. In addition to being the majority of victims of police abuse, they end up paying a second time when their communities bear the biggest brunt of budget cuts when resources are diverted to these costs. The U.S. Department of Justice has announced that it will investigate the Chicago Police Department. A likely result of the investigation is a consent decree forcing the city to adopt expensive fixes for these abuses that could cost taxpayers millions more, as has happened in many other cities. For example, Los Angeles is estimated to have spent $300 million to comply with its DOJ consent decree. Chicago would likely need to borrow even more money to comply with any consent decree, forcing it to take out even more police brutality bonds. DOJ consent decrees are a tool the federal government uses to clean up police departments that regularly have civil rights violations. But we may need another federal solution to prevent Chicago’s police brutality bonds from turning into a profit engine for banks and wealthy investors. When there are consent decrees or police misconduct settlements, the Federal Reserve should lend the money directly to the city at the same deeply discounted interest rates it offers to banks. The Fed already has the power to lend to cities and states, with some caveats. If the Fed used this authority, it could help cities address structural police abuses without forcing taxpayers to give away even more of their hard earned dollars to big banks and wealthy investors. Chicago’s police brutality victims and survivors are disproportionately Black, and it is no coincidence that Black communities are the most overpoliced and underinvested. The money cities save could instead be invested back in the communities that have been most impacted by police misconduct. The city of Chicago must eliminate profit from police killings and invest in Black futures. Johnaé StrongJohnaé Strong is the Co-Chair of the Chicago chapter of Black Youth Project 100 (BYP 100), a member-based youth activist organization.